Spring is here at long last and that means it’s time to Bee Aware! Did you know that without bee pollination we’d have no apples, blueberries, coffee, chocolate or even jeans? These are all foods and products pollinated by busy little bees and now they need our help. Not only do bees produce a wonderful, natural food source, they also play a significant role in supporting our food chain. We want to do our part to help raise awareness for our buzzing little friends and how important they are so we’ve thrown together some tips and resources to help you get started. Backyard bees : a guide for the beginner beekeeper / Doug Purdie. Save the bees with natural backyard hives/ Rob and Chelsea McFarland, founders of HoneyLove.org. Letters to a beekeeper / Steve Benbow, Alys Fowler. The urban wildlife gardener : how to attract birds, bees, butterflies, and more / Emma Hardy. Also, don’t miss the September issue of New Zealand Gardener from one of our branches or borrow an online copy through PressReader. Wondering what happened to our Central Library rooftop bees? Don’t worry they have been hibernating all winter but will be out there looking for pollen soon so get planting. Recent Home, Garden & DIY picks. It’s all about creativity and style. This month’s pick features vertical garden, best soil, and personalised design for your garden, as well as decoration and desserts for your party! Domino : your guide to a stylish home : discovering your personal style and creating a space you love / by Domino editors, Jessica Romm Perez, Shani Silver. The good dirt / Xanthe White. Good Housekeeping simple household wisdom : 425 easy ways to clean & organize your home / edited by Sara Lyle Bow. Modern potluck : beautiful food to share / Kristin Donnelly. Vertical gardens / Leigh Clapp & Hattie Klotz. Simple tailoring & alterations : hems, waistbands, seams, sleeves, pockets, cuffs, darts, tucks, fastenings, necklines, linings / J. François-Campbell. Well played : the ultimate guide to awakening your family’s playful spirit / Meredith Sinclair. Elbows off the table, please : recipes to make any occasion special / Jo Seagar ; photography by Jae Frew. The finer things : timeless furniture, textiles, and details / Christiane Lemieux ; foreword by Miles Redd. Decorate for a party : stylish and simple ideas for meaningful gatherings / Holly Becker + Leslie Shewring. Welcome! We have a selection of new library books featuring fabulous ideas on making Christmas cards and gifts, easy and healthy meals, as well as exploring gardening projects that can be fun. Read about ways to address children’s health problems by both medical and natural methods, and challenge preconceived ideas about meditation. Enjoy! 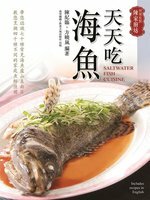 This collection of cookbooks will inspire you to create wholesome, healthy meals easily and without stress. Salads in a Jar / Courtney Roulston. From Venice to Istanbul / Rick Stein. Janella’s Super Natural Foods / Janella Purcell. There’s nothing more satisfying than making Christmas cards and gifts for your family and friends and you will find lots of new library books, packed with magical ideas and inspiration to help you make this season special. Half yard Christmas : easy sewing projects using left-over pieces of fabric / Debbie Shore. The artful year : celebrating the seasons and holidays with family arts and crafts / Jean Van’t Hul. Sew many dresses, sew little time : the ultimate dressmaking guide : interchangeable patterns to create 200+ unique dresses / Tanya Whelan. Sew fab : sewing and style for young fashionistas / Lesley Ware. Handmade interiors / project editor, Laura Palosuo. Spring is slowly on its way. 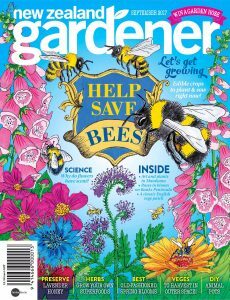 This month’s gardening books highlight inspirational ideas across the world and DIY projects that are fun and practical. DIY garden projects : step-by-step activities for edible gardening and backyard fun / Mat Pember and Dillon Seitchik-Reardon. Gardens in France / edited by Angelika Taschen. Kyoto gardens : masterworks of the Japanese gardener’s art / text by Judith Clancy ; photography by Ben Simmons. Life spaces : 120 award-winning interiors from the 2014 IDEA Awards. Gracious rooms / Barbara Westbrook ; written with Heather MacIsaac. This month we read about running, children’s health through a combination of conventional and alternative medicine, diabetics management and how to develop healthy habits to give us the best chances to fight cancer and stay generally healthy. Can food be medicine against cancer? The seminal yoga sourcebook for generations of yoga students around the world, first published in 1966, was republished in 2015. This month we read books that challenge many preconceived ideas about the benefits of meditation, listening to our feelings and the trappings of the pursuit of happiness. Intrigued? Read on. The outside edge : how outsiders can succeed in a world made by insiders. The Buddha pill : can meditation actually change you? Finding ways to grow all the ingredients for an entire dish in your garden would be the dream of many and this month’s selection of cooking books offer lots of ideas and inspiration. Take a look at the latest in sewing, knitting and crochet and find new ways to maintaining good health and mindfulness, preventing mental disorders and addictions. Check out the newest books at your local Wellington library and enjoy. This month’s selection of cookbooks feature seasonal foods with emphasis on local produce and growing your own food. Other books include ‘how to’ books like Dudefood, The First Foods Book and Cooking for Geeks. DudeFood. Volume # 1 / [by Daniel Churchill]. The First Foods Book : 130 yummy recipes from weaning to the big table. Cooking for Geeks : Real Science, Great Hacks, and Good Food / Jeff Potter. A Table in the Orchard : my delicious life / Michelle Crawford. Draw creative energy from this delightful collection of new library books including knitting designs for every season, clever sewing projects and fresh ideas for lace work, including how to make beautiful buttons. Happy crafting! Sew organized for the busy girl : tips to make the most of your time & space : 23 quick and clever sewing projects you’ll love / Heidi Staples. Warm days, cool knits : lighter designs for every season / Corrina Ferguson. How to make beautiful buttons / Beate Schmitz. Learn to crochet, love to crochet / Anna Wilkinson ; photography by Laura Edwards. This month we take a holistic view of health, from preventative to curative, from yoga to mindfulness. We read about mental disorders, addictions and Alzheimer’s and improve our knowledge of medical terms. The gut balance revolution : boost your metabolism, restore your inner ecology, and lose the weight for good! This month’s selection delves into the workings of co-dependent relationships and offers tools to free yourself from them, cultivating intimacy, yet separateness, creativity and inner peace. Spring is at the door and it’s perfect timing to sow some seeds and grow plants indoors. You can grow herbs, beetroot, broad beans, cabbage, rocket, onion and tomatoes now and harvest for Christmas. Year-round indoor salad gardening : how to grow nutrient-dense, soil-sprouted greens in less than 10 days / Peter Burke. Homegrown herb garden : a guide to growing and culinary uses / Lisa Baker Morgan and Ann McCormick. Plantiful : start small, grow big with 150 plants that spread, self-sow, and overwinter / Kristin Green. The new kitchen garden : how to grow some of what you eat no matter where you live / Mark Diacono. Courtyard kitchen : recipes and growing tips for herbs and potted fruits / Natalie Boog. Growing beautiful food : a gardener’s guide to cultivating extraordinary vegetables and fruit / written and photographed by Matthew Benson. The garden forager / Adele Nozedar ; illustrated by Lizzie Harper. This month’s recent pick features home DIY and gardening projects, including some ideas for keeping the little ones busy in the winter! Also in this month’s picks — check out houses with energy saving designs. DIY furniture 2 : a step-by-step guide / Christopher Stuart. ProjectKid / Amanda Kingloff ; photographs by Alexandra Grablewski. Taming wildflowers : bringing the beauty and splendor of nature’s blooms into your own backyard / Miriam Goldberger. The nesting place : it doesn’t have to be perfect to be beautiful / Myquillyn Smith. Gardening lab for kids : 52 fun experiments to learn, grow, harvest, make, play, and enjoy your garden / Renata Fossen Brown. Warm house, cool house : inspirational designs for low-energy housing / Nick Hollo ; foreword by Jamie Durie. This month’s books of seasonal desserts, cosy quilts, beautiful flower arrangements, and fresh veges will surely warm up your winter! Wintersweet : seasonal desserts to warm the home / Tammy Donroe Inman. Handmade gatherings : recipes & crafts for seasonal celebrations and potluck parties / Ashley English ; photographs by Jen Altman. The plant recipe book : 100 living arrangements for any home in any season / Baylor Chapman ; photographs by Paige Green. Drink your own garden : a homebrew guide using your garden ingredients / Judith Glover. For the love of veg : get the best out of your seasonal fruit and vegetables / Bryn Williams with Kay Plunkett-Hogge ; photography by Andy Sewell. One woman farm : my life shared with sheep, pigs, chickens, goats and a fine fiddle / Jenna Woginrich ; illustrations by Emma Dibben. Starting with a unique take on gardening , the origins and histories of garden tools, this selection of books contain advice, histories and creative ideas on the gardening theme. The history of the garden in fifty tools / Bill Laws. Decorate with flowers : creative ideas for flowers & containers around the home / Holly Becker & Leslie Shewring. Charles Dowding’s veg journal : expert no-dig advice, month by month / Charles Dowding. How to grow beautiful roses : a practical guide to growing, caring for and maintaining roses, shown in over 275 glorious photographs / Peter McHoy. Tudor Monastry Farm: life in rural England 500 years ago / [Ruth Goodman, Peter Ginn & Tom Pinfold. The cut flower patch : grow your own cut flowers all year round / by Louise Curley. Of Rhubard and Roses: the Telegraph book of the garden / edited by Tim Richardson. You will find a wide array of subject matter traversed in these gardening books fresh to shelves here at the library. Touching on subjects such as gardening gently with wildlife in mind, bamboo and its wonders, then to finding out how big country manors of yesteryear were managed (and yes there is a section on grounds management which earns the book Wise words & country house ways a part in this selection) to modern garden design this selection makes a pot pouri of different takes on what it is to garden. The wildlife-friendly vegetable gardener : how to grow food in harmony with nature / Tammi Hartung ; illustrations by Holly Ward Bimba. The good life lab : radical experiments in hands-on living / Wendy Jehanara Tremayne. Wise words & country house ways / Ruth Binney ; foreword by Julian Fellowes. Garden voices : Australian designers : their stories / Anne Latreille. Landprints : the landscape designs of Bernard Trainor / by Susan Heeger ; photography by Jason Liske and Marion Brenner. The new English garden / Tim Richardson ; photographs by Andrew Lawson ; with Jane Sabire and Rachel Warne. Everyday roses : how to grow Knock Out® and other easy-care garden roses / Paul Zimmerman. Talk about contemporary gardens / Chantal Colleu-Dumond ; [translated from the French by John Lee.